1. Place the contents of the IMANA Black Pepper Sauce sachet into a large jug. Add the boiling water and IMANA Green Pepper & Onion Super Stock Cube. Mix well with a fork until well combined. 2. Add the sugar, tomato sauce, apricot jam, vinegar, mustard and herbs in a bowl.. Stir until the sugar has dissolved. 3. Place the meat in this marinade for about an hour before braaing. 4. 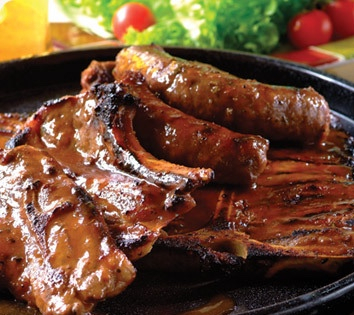 Braai over hot coals or place under the grill, while continually basting with the sauce until cooked through and sticky. 5. Heat any leftover sauce in the microwave or on the stove and simmer for about 5 minutes. Brush over the braaied meat and serve with pap and bread.